We encourage this dialogue through our customer service follow-up e-mails, regular Facebook and Twitter exchanges and through questions submitted to us via this website. But, the most important and useful forum for us is through our Spiller & Tait Community. regular special offers and promotions on Spiller & Tait products. By signing-up with your e-mail address, you will immediatly become a member of the Spiller & Tait Community. All communication with you will be via e-mail and will be governed by the Terms and Conditions listed in the footer of this website. 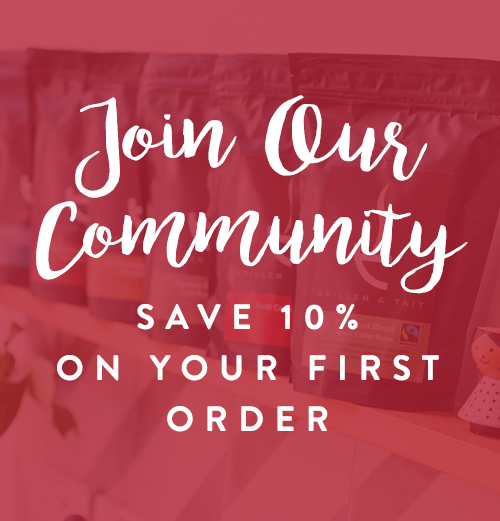 Sign-up now via the "Join Our Community" section below to receive 10% of your next purchase on this website.